When it comes to home remodels, there’s one room that’s always on the top of everyone’s list. You know what we’re talking about; we’re talking about the kitchen! 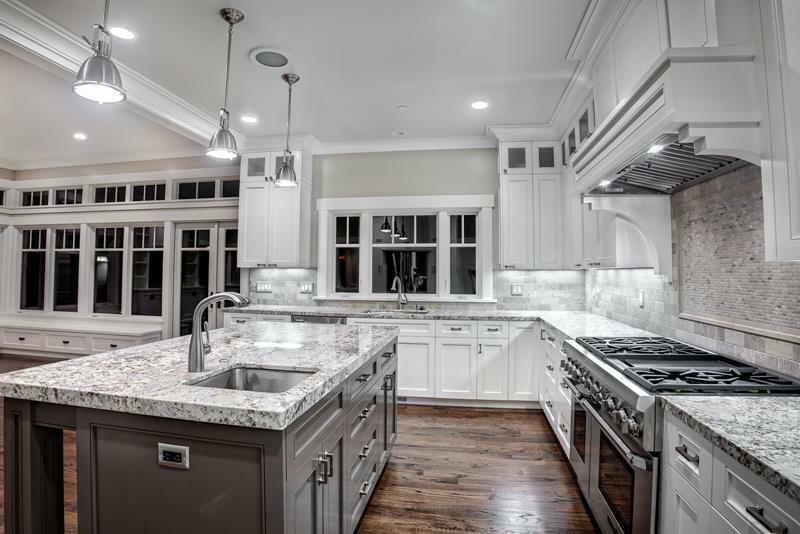 Given the amount of interest that everyone that everyone has in cooking, kitchens have become the hot room to remodel in every home. When it comes to new homes… Well, forget about it! If the kitchen’s not first rate, then it’s a home that’s going to sit on the market! 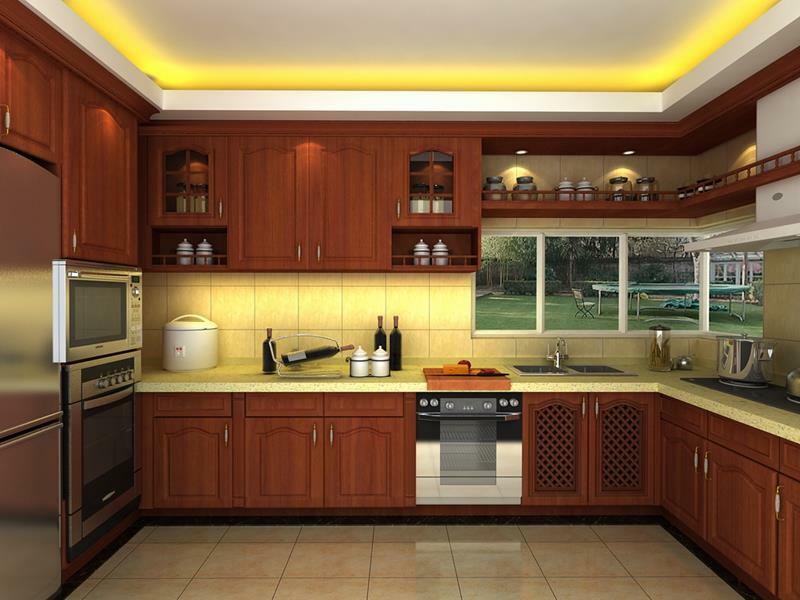 Now, there are a lot of things that go into designing the modern kitchen. Of course, you have to consider practical things, but that’s not what most people are interested in. Instead, they’re interested in the look and feel of the space, particularly when the kitchen is a part of an open-concept living space. To aid you and others in their quest for the ultimate luxury modern kitchen, we’ve collected these 120 stunning examples. 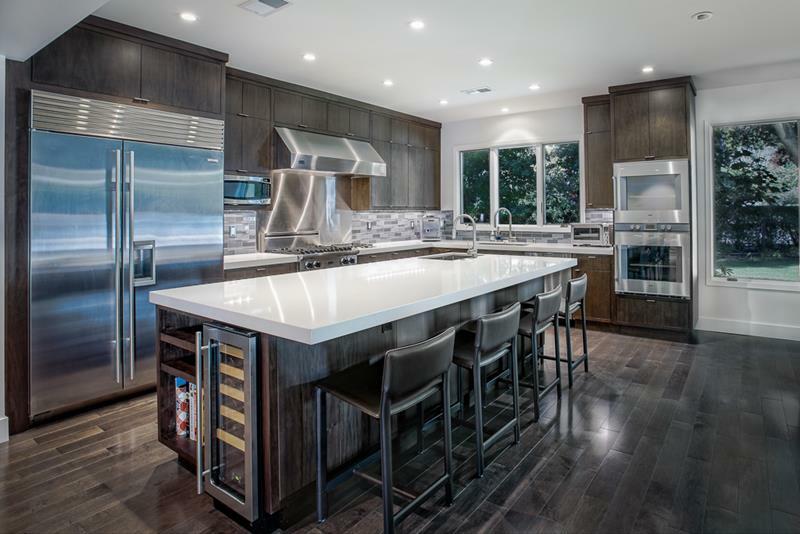 On this list, you’ll find kitchens that do all kinds of things, adopt all kinds of color schemes, and use all kinds of materials to achieve that singular luxurious modern look. 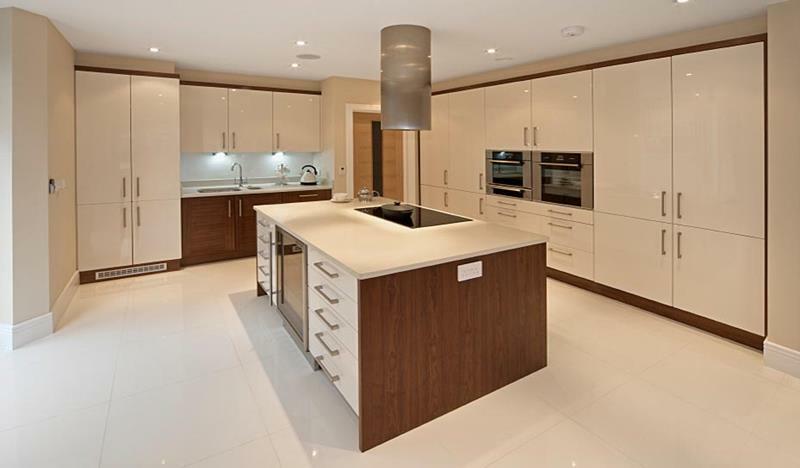 So sit back, take a look, and find the inspiration for your own modern luxury kitchen! Smartly placed recessed lights bring out the natural beauty of the dark hardwoods and white countertops of this kitchen design. 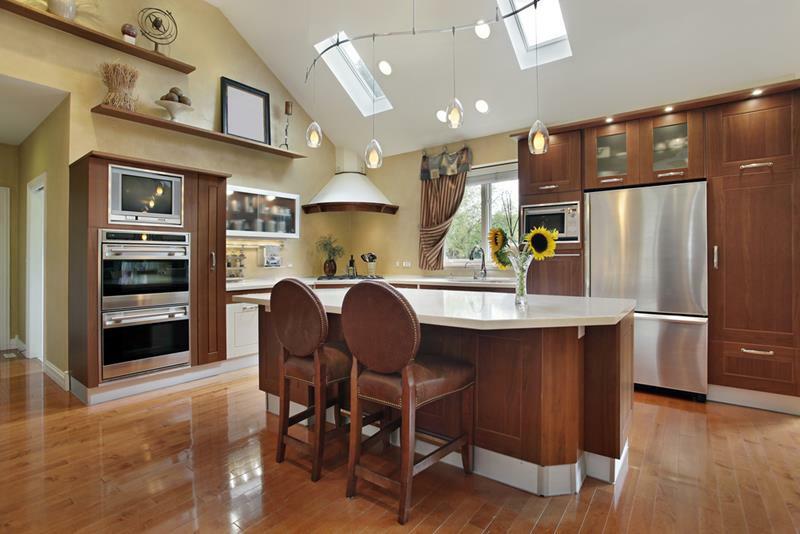 Interesting lines mirror the vaulted ceiling of this kitchen design, adding a level of visual interest. With the granite countertops doubling as the backsplash in this modern kitchen design a unique look is achieved. 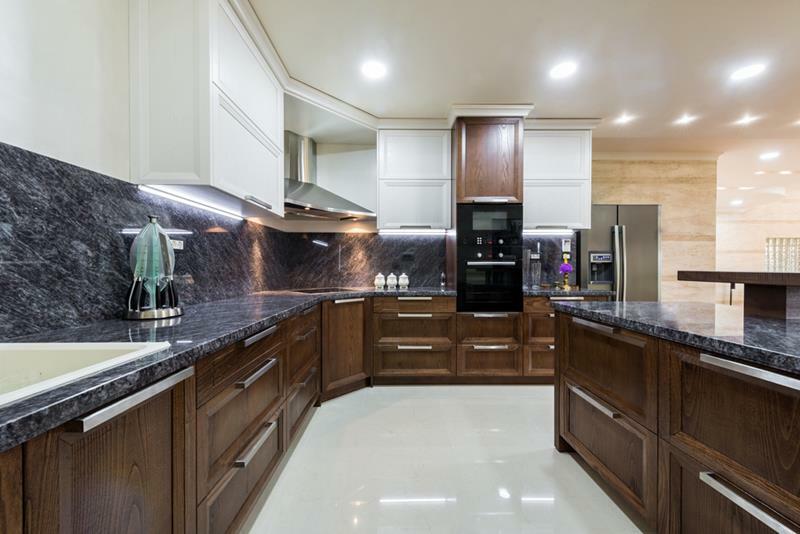 This beautiful custom luxury modern kitchen design smartly incorporates classic design elements to great effect. With the beautiful white in this kitchen, a dark island is just the thing that’s needed to keep things vibrant.